Great! Can you post your solution to the problem? 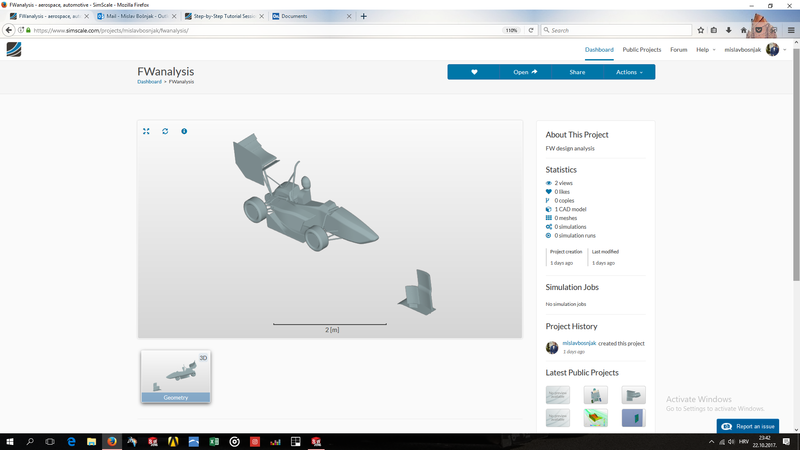 Some users might be interested in it as they are also using CATIA. @Kowalski: Try cross checking the units of front wing as well as car. Both should be in meter. First there was a problem with the units, car was in m while front wing was in mm. When I translated the STL file of front wing in 3D builder, it was taking input of translation lengths in mm. So I did the translation operation in CATIA and then saved it in STL format. Finally after merging and uploading, both car and front wing were in their right positions. @TusharSimScale @jousefm Thank you very much for your help. Seems it is all right now, so I will try to mesh it. The problem was, that I exported the wing in millimeters instead of meters. 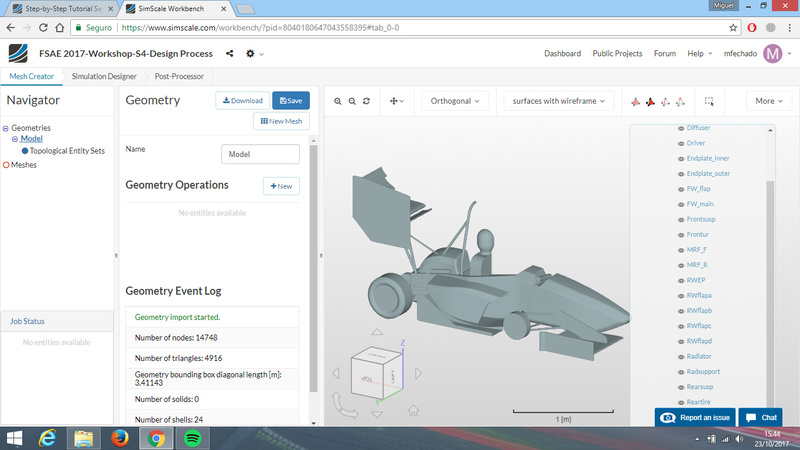 i created the assembly of my own front wing in SOLIDWORKS and then when i uploaded the whole assembly in Simscale dashboard , the mates of my assembly were not there. The front wing is placed somewhere randomly. How can i fix this ? Always make sure to click on Do not translate STL output data to positive space option when exporting the file from SolidWorks. As mentioned above try to make sure clicking on the Do not translate STL output data to positive space option when exporting the file from SolidWorks. Let me know if it helped. Sure. Do you need a hand on your wing design? yes, actually i dont know how to start designing the front wing from scratch. Also i am not very expert in CAD designing and know only basics of it. Can u please help me out on how to start designing the front wing. post-processing is not loading since 2 days, i cant finish the last steps but i send my link with the other steps from the homework. Cheers and thanks for your input! 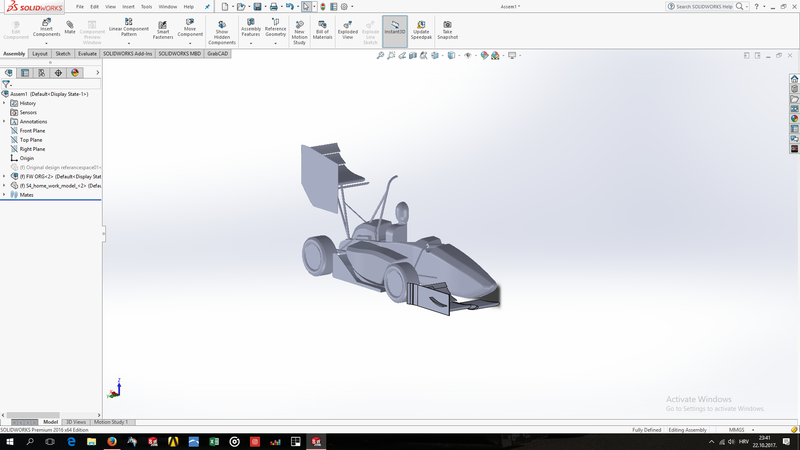 I ve done the .stl merges for my front wing, how can I combine this with the car and change the relative position? Hi there, I’m having a problem when the full car is processed by SimScale, it always seems to miss the Front Wheel and I have no idea why. The file I download is the first one in the tutorial and didn’t touch it while merging. I’d appreciate some help please. Thanks! Did you manage to fix the issue? Please note that you have to set your positions in the CAD software you are using. And what was the Notepad++ problem you were facing? Didn’t get it to be honest. Put all STL files in one folder along with the “merger”, pretty straightforward. Do you still have that problem? Can you please try it again and see if it still deletes the wheel?